Last year I speculated in a post about what would happen November 11th in 2011. Not the end of the world or the planets aligning or anything like that, but regarding the parties marking the beginning of Carnival. You see, even though most Carnival celebrations don't get serious until right before Ash Wednesday, like Mardi Gras in New Orleans, there are some countries where the official start of the festival season is 11/11 at 11:11 a.m. So I'm thinking this must be a REALLY big year for them. 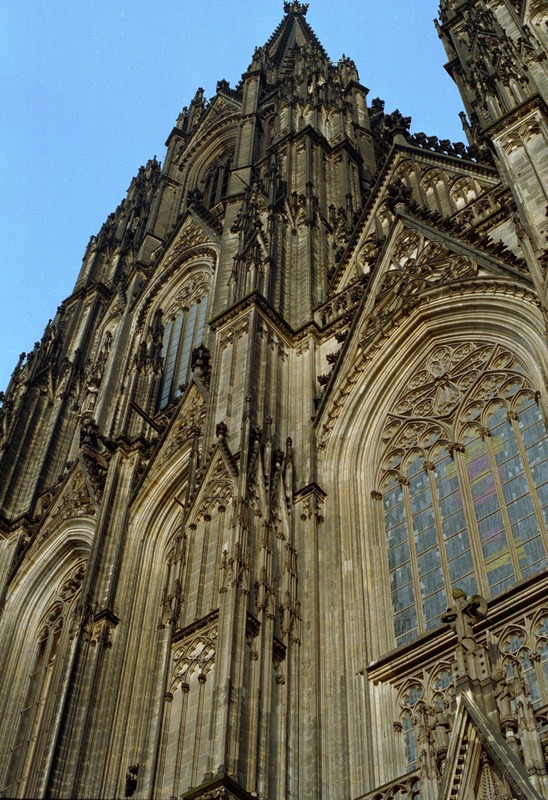 The wildest celebrations of the 11/11 date take place every year in Cologne, Germany. The revelers dress up in costumes and take to the streets, dancing and drinking, getting ready for weeks of partying. Different groups hold parades and provide street entertainment; bars and beergartens are crowded. The city of Düsseldorf is a strong contender for 11/11 party central. 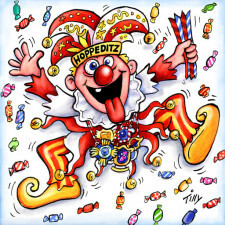 The day is called Hoppeditz Awakening here, named after a tradition based on the Hoppeditz character, who is sort of a carnival fool, or jester. Hoppeditz reawakens every year on 11/11 at 11:11 a.m. on the Marktplatz in front of the town hall to open the Düsseldorf Karneval. He begins by lampooning local politics, and he and the mayor engage in some good-natured hectoring, before the program continues on Burgplatz. 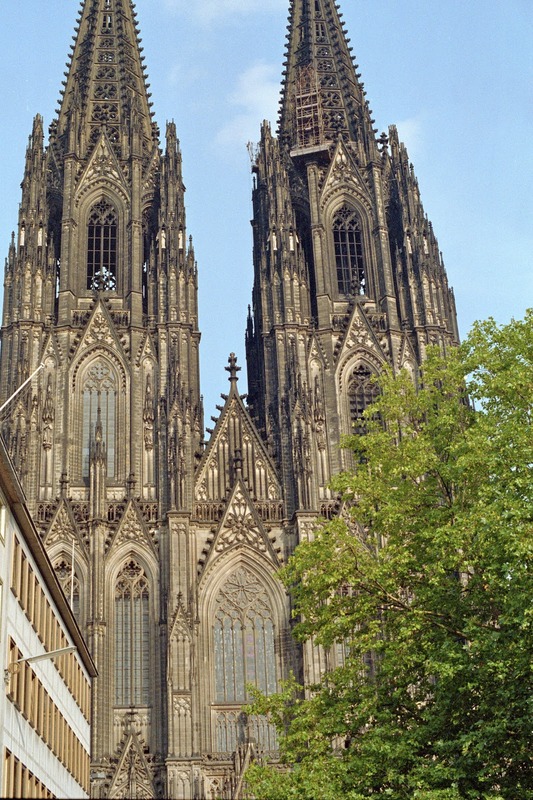 More than 300 carnival sessions and costume balls are celebrated in Düsseldorf between Hoppeditz Awakening and Ash Wednesday. 300 carnivals? How does anyone find any time to work? Sounds like a great time though. Nice picture of the cathedral. So carnival season runs from Nov 11th til Ash Wednesday? That's a long time to sustain the festive spirit! So basically one party ends (Octoberfest) and another one begins. I'm thinking partying away the winter is a good way to get through it. I might have to follow that plan.